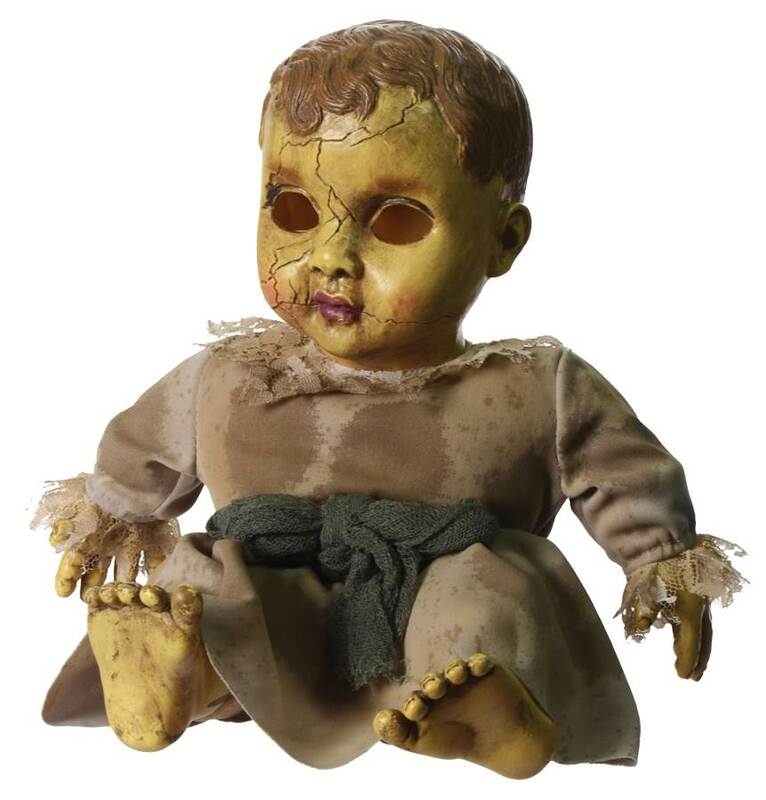 This doll is very creepy! Sound activated backer bar. Rigid PVC head, hands and feet. Uses 2 AA batteries (included). Height is about 15 inches.